There was nothing much to shout as it was a mediocre performance from the reigning champions which smacked of looking beyond what was right in front of them. In fairness, the muted audience of 10,057 didn't exactly come expecting fireworks. The first shot in earnest came from Cheetahs prop Ox Nche for a late and high hit on Fergus McFadden. The wing was left prone on the ground as referee Nigel Owens looked at the replay on the screen at the Anglesea Road end of the ground. Amazingly, the decision was for a yellow card, not red, and Nche returned to action 10 minutes later. 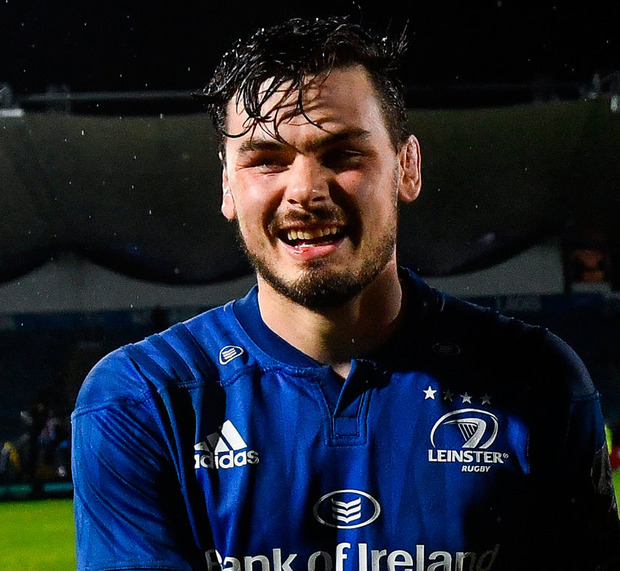 This performance was a case of Leinster playing down to their opponents, the lift from Conor O'Brien's try off a flat pass from Jamison Gibson-Park, converted by Ross Byrne, failing to ignite the crowd or themselves. Instead, the Cheetahs left wing Rabz Maxwane has an opportunistic instinct and this was on show from centre Benhard Janse van Rensburg's kick ahead which the speedster gathered with ease, and out-half Tian Schoeman squared it from the conversion. The remainder of the first half proved to be rather listless, with the Cheetahs maintaining their tactical kicking, while Leinster were unable to get back into scoring range, despite promising runs from man of the match Max Deegan and captain Rhys Ruddock near halfway. Leinster ended the game hunting for a bonus-point score through their forwards but the Cheetahs held them at bay. It means Leinster take a whopping 26-point overnight lead in an uncompetitive Conference B.
Leinster - D Kearney (B Daly 66); A Byrne, R O'Loughlin (N Reid 66), C O'Brien, F McFadden; R Byrne, J Gibson-Park (H O'Sullivan, 76); P Dooley (E Byrne 54), B Byrne (J Tracy 54), M Bent (A Porter 44); R Molony, S Fardy (M Kearney, 71); R Ruddock (J Murphy 63), M Deegan, C Doris.